I’m sure many of you listen to music while exercising, walking in the park or laying on the bed. If you have been using wired headphones, then you must know how frustrating it is to have the long cable get in the way of what you are doing or enjoying. 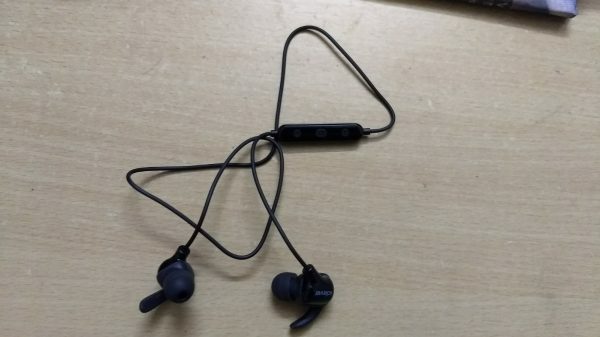 Also, you run the risk of breaking your headphones’ cable from the extra pressure on the 3.5mm jack connecting to your music player or smartphone. Also, most Bluetooth headphones are big and bulky, restricting mobility of the head. However, there is a solution. iClever BTH20 Bluetooth Headphones are small as any IEM and fits snugly to your ears. It is also lightweight, allowing you to do your activities like you used to without affecting mobility or risk breaking the headphones. 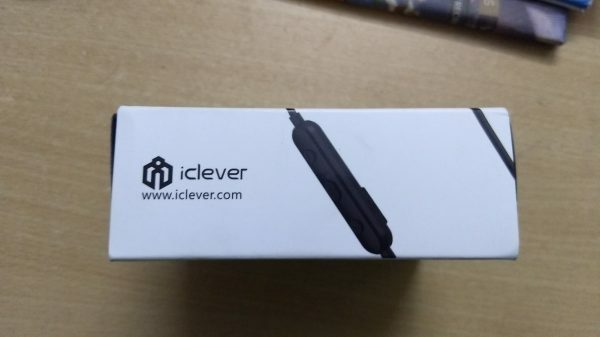 The wonderful team at iClever sent us one unit for review. Today we will be unraveling the secrets of the product. So hold on to your seats and read on. iClever BTH20 Bluetooth Headphones is a Bluetooth wireless IEM (in-ear monitor) that is extremely light and sweat-proof and does not come in the way of heavy physical activity. It also has a microphone to make calls through a smartphone. 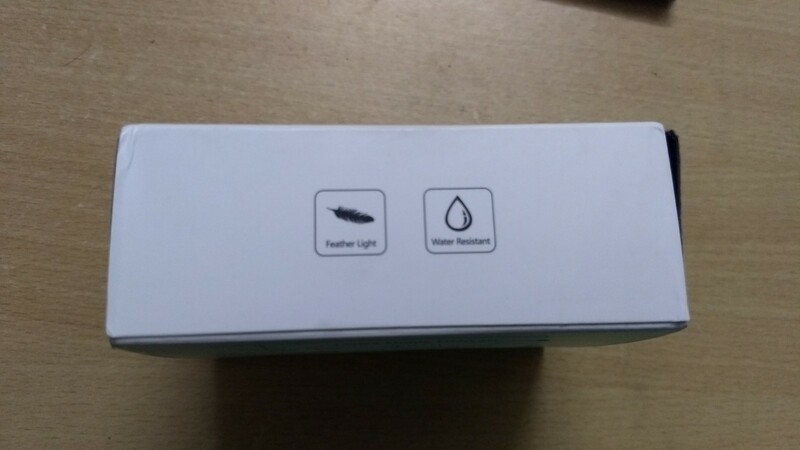 Now that we’re familiar with the product, let’s move on to the unboxing. 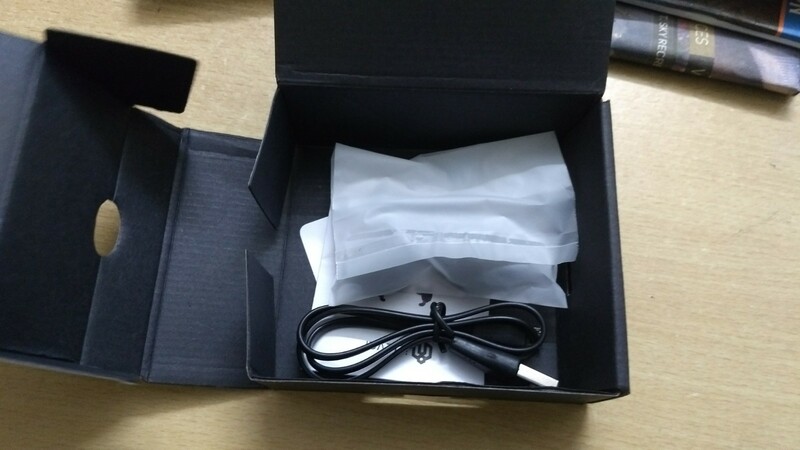 The product comes in a little black box with a white sleeve. The sleeve has the iClever logo with the illustration of the product in the front and the SKU number at the back. 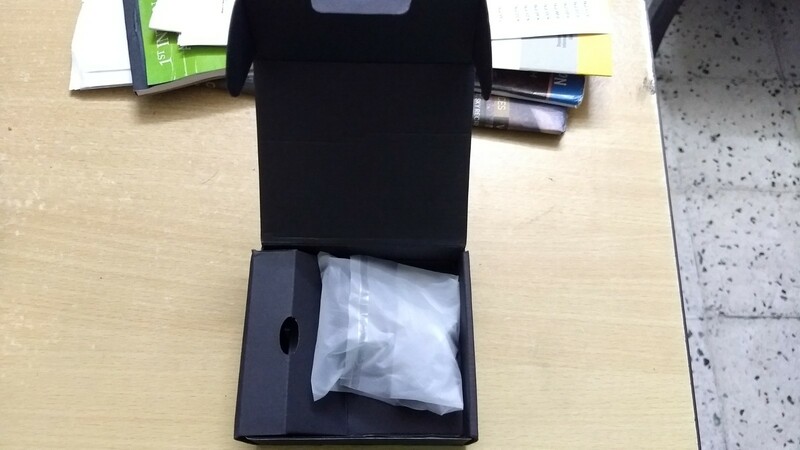 Sliding away the sleeve and opening the box, we are greeted with the headphones in a plastic pouch. 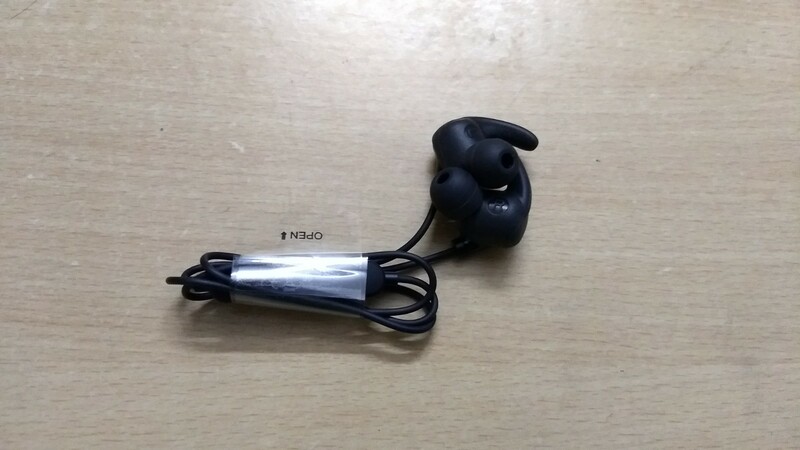 Taking away the plastic pouch, here are some images of the headphones. 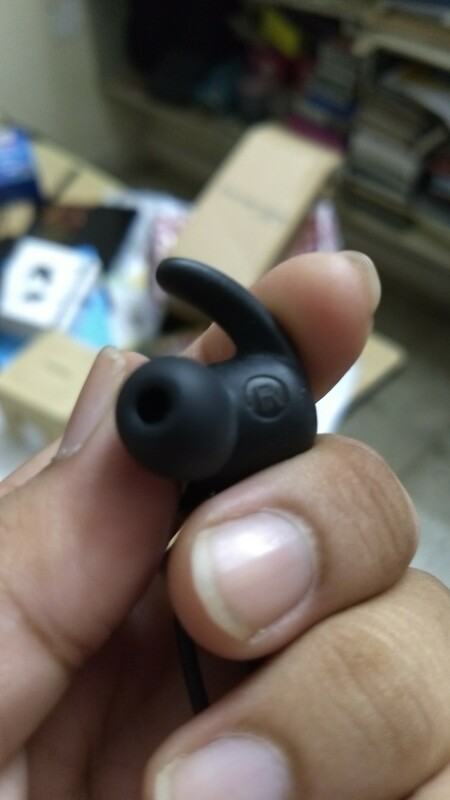 The earbuds have earhoox-style extensions to ensure that they don’t fall off the ears. 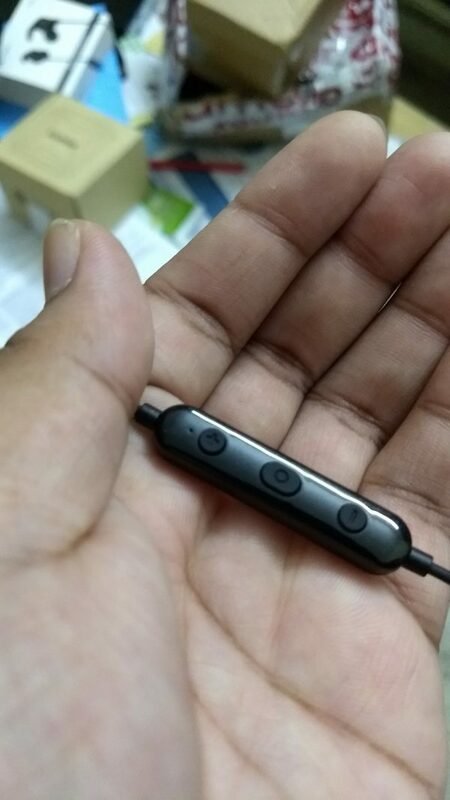 There is a module on the wire that contains the microphone, the volume up and down buttons, the multifunction on/off/call button and a USB port for charging. Keeping the earphones aside, we open the bottom floor of the box. There is a USB charging cable, a pouch, a user manual and a warranty card. 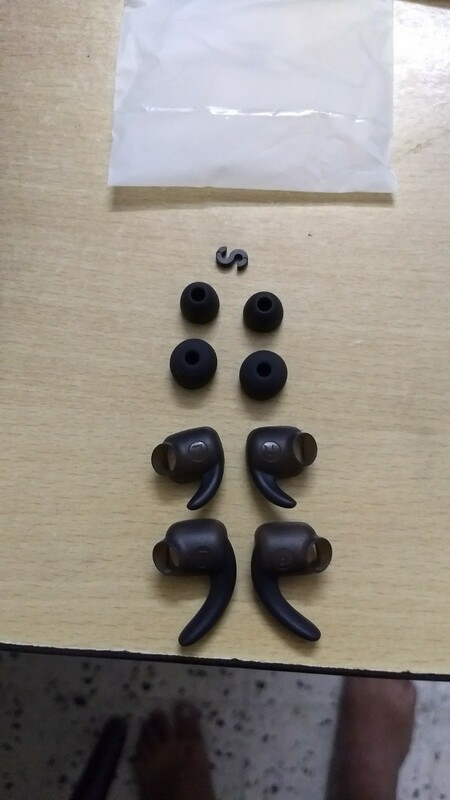 The pouch contains the ear hooks and tips for small and large sizes (the medium sized ones are already applied to the headphones out of the box). There is also an S-shaped hook to secure the cable to a collar button. 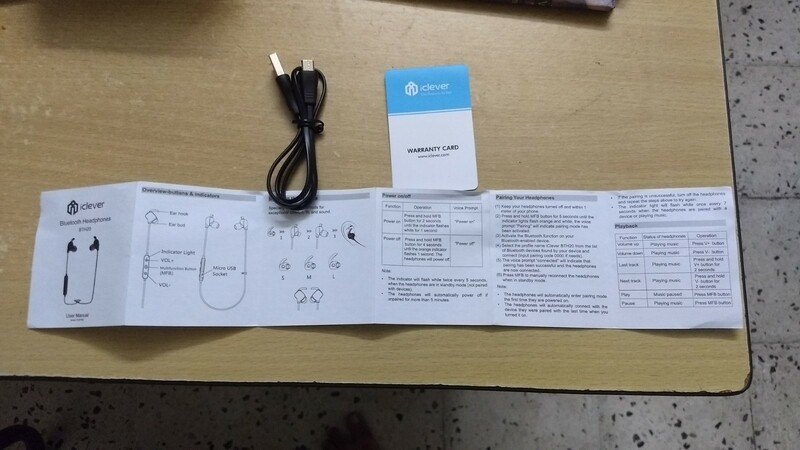 Here is a close-up of the USB cable, warranty card and user manual. 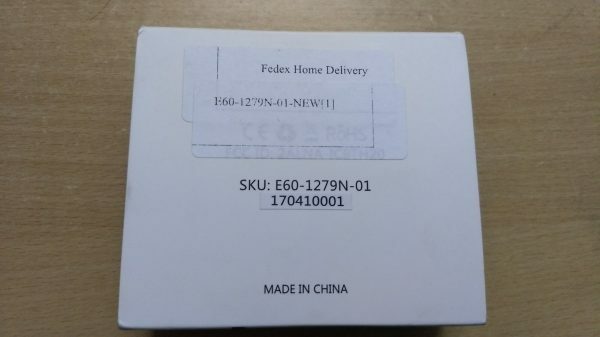 We have finally unboxed the product. Let’s use it now. Using the earphones is very simple. First of all, one needs to wear the earphones. Then press and hold the multifunction power button. A voice will say “power on” saying they headphones are switched on. Keep holding it till you hear “pairing”. At this point, open Bluetooth on your smartphone, player or computer and search for the headphones. If you see “iClever BTH20” click or tap it to connect to it. Once connected, you will hear the voice say “connected”. Now you can open any music or video app and listen. 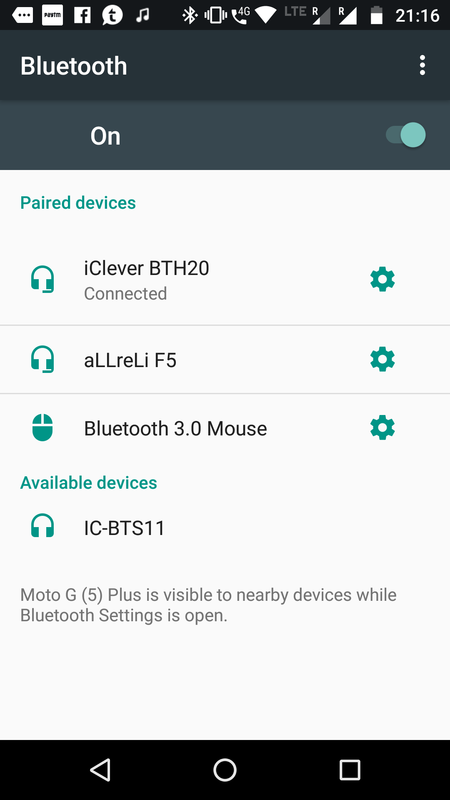 I have tested the iClever BTH20 Bluetooth Headphones with all the devices I have, which includes my Motorola G5 Plus, YU Yureka (both running Android), iPad Pro 128GB LTE (running iOS) and two of my laptops (running Windows and GNU/Linux with KDE), and it works flawlessly with all of them. 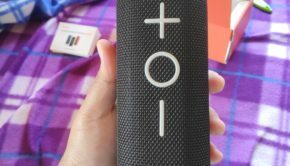 The volume buttons integrate with the system volume of the devices while the multifunction call button works as play/pause button as well as long press gestures bring up the voice assistant (Google Assistant in Android and Siri in iOS). The playback is solid and clear for hours of use. 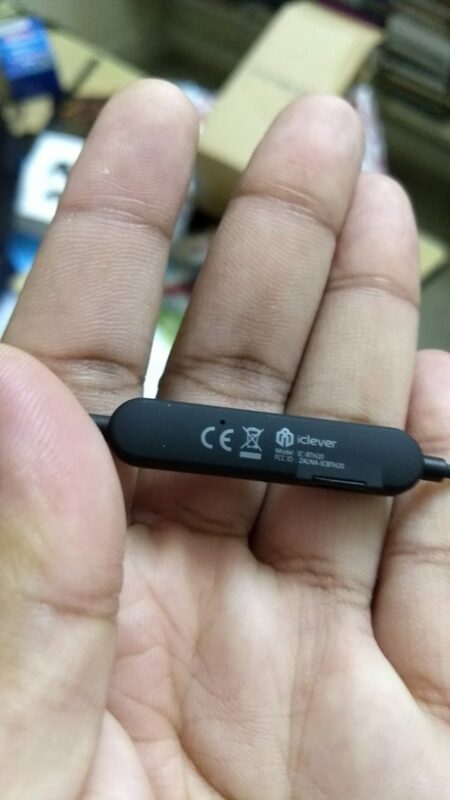 I am not sure what the is rated connectivity range is, but the iClever BTH20 Bluetooth Headphones stays connected till a bit beyond 15 metres. I have played music on my PC and walked downstairs in the garden and there is continuous hi-fidelity music playback with no stops. The iClever BTH20 Bluetooth Headphones is thin and small so I do not expect it to have a high battery life. It manages to last two 5 hour listening sessions on a full charge, which is 2 hours over the rated battery life of 8 hours. Overall I am very pleased to see such good uptime from a tiny battery. I must say this is one of iClever’s gems. 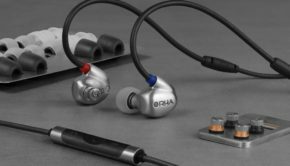 The audio quality is comparable to many of the best known brands. The bass focused sound signature is very similar to but not exactly same as JBL. In fact, iClever BTH20 Bluetooth Headphones remind me of one of JBL’s best selling budget earphones, the JBL Tempo. The audio texture can be best described as below. The iClever BTH20 Bluetooth Headphones has lively and sparkly sounding treble. Hisses, shrieks, whistles, bells and cymbals are very resonant. The treble has a cool undertone to it. The mids are vocal focussed and voices are sound bit-by-bit perfect to that in real life. This is understandable as it is also designed to be used as a headset for phone calls. The stringed instruments sound smooth and suave. Overall, the mids too have a cool undertone to it. The bass is tuned to be slightly higher than the mids and treble. The sub-bass growls like a subwoofer but doesn’t rumble for long. The mid- and high-bass is sufficiently wholesome and punchy and makes the listening experience worth it. The bass have a warm undertone to it. Overall, the iClever BTH20 Bluetooth Headphones appear to be tuned for long listening sessions. The cool treble and mids and warm bass ensure minimal fatigue for the listener. The earphones are great for listening to any music of any genre, but rock, dance and EDM sound much more enjoyable than any other genre. The soundstage sounds like like big indoor concert. It doesn’t have the feel of an outdoor concert but is still sufficiently spacious. The placements of instruments is not as great as an over-the-ear headset, but still is nicely done. Vocals seem to be placed in front of you, stringed instruments on your left and right sides and bass below and behind of you. 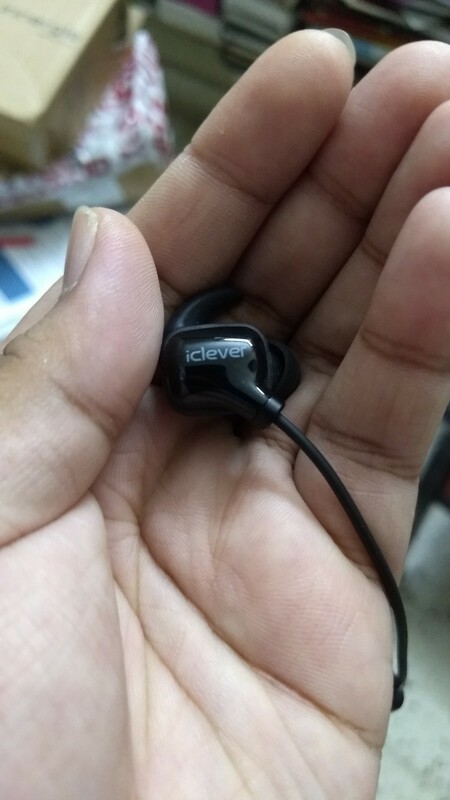 Overall, I feel that anyone would be pleased to hear music on iClever BTH20 Bluetooth Headphones. iClever BTH20 Bluetooth Headphones scores a home run in this department. 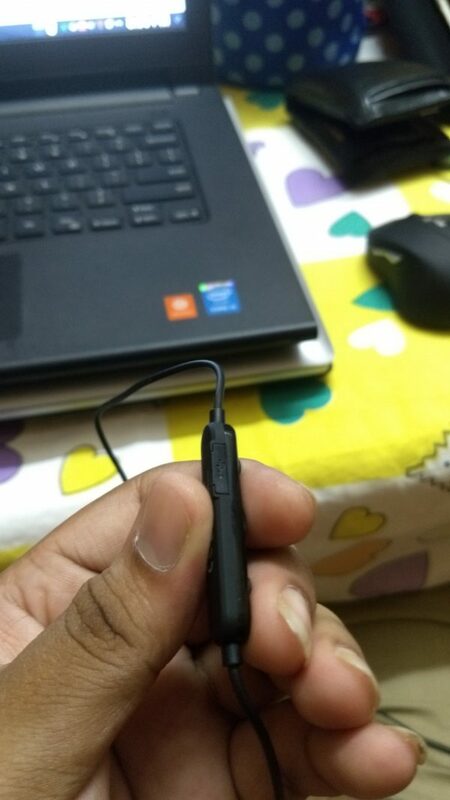 Once you plug in the earphones, close to 3/4th of the outside noise is gone. 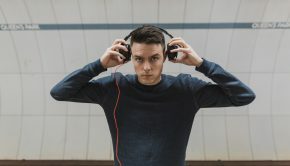 When playing music even at the lowest volume, the active noise cancelling kills whatever remains of the outside noise. While playing music, I don’t even hear the lawnmower in the garden or the electric drill in my neighbour’s home. It is an extremely apt solution for listening to at home, in the gym or in public transport. However, I will not recommend this for use on the street, as it will impede your hearing and sensing of danger. The iClever BTH20 Bluetooth Headphones feel premium when held in the hand. It may also feel soft and fragile but the wire is sufficiently strong to sustain accidental pulls on the earbuds. It also looks stylish and unintrusive when worn (and does not make you look like an idiot with big headphones). Coming to ergonomics, I must say the design is brilliant. Despite it being an IEM, it feels extremely comfortable, like it isn’t even there. It is well padded while still securely fitting into the ear. Once can wear it for long stretches without any sort of fatigue. And since it is extremely light, it does not affect the mobility of the head in any physical activity. 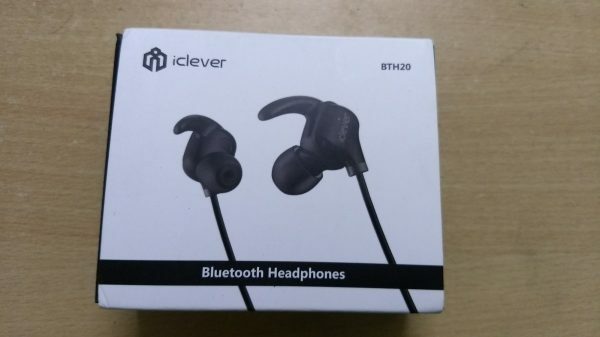 iClever sells the BTH20 Bluetooth Headphones on Amazon for $16.99 which is rather cheap for a such a comfortable and great sounding pair for earphones. Click here to buy it. 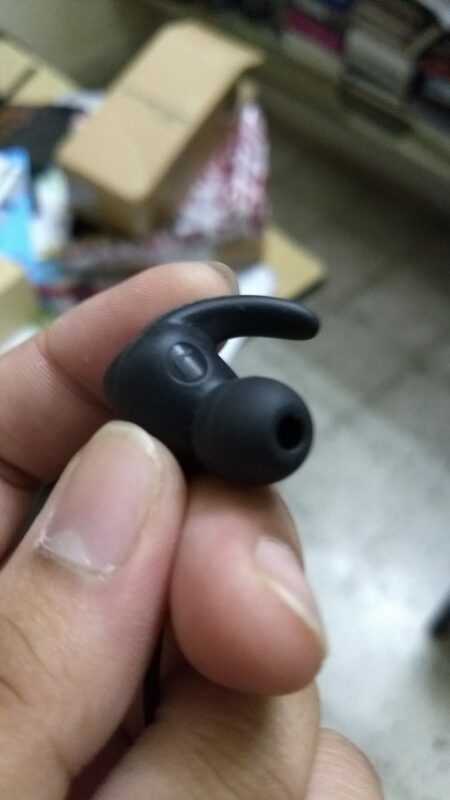 I have found the iClever BTH20 to be a low-budget bluetooth headphones that sounds as good as and as comfortable as those ten times its cost. I would highly recommend it to anyone looking for a Bluetooth headset.